This book was co-edited by Maarit Mäkelä and Tim O'Riley. 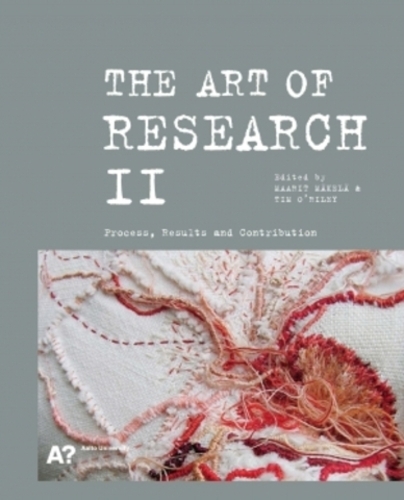 Its subject is practice-led research and it is based on papers given at the 'Art of Research' conference in 2009. Mäkelä and O'Riley edited the volume, and contributed an extended introduction to the anthology, in which they consider the entanglement of reflecting, writing, and making, and the role of serendipity in the context of practice-led research. By presenting examples of case studies and practical and theoretical reflections, as well as laying out some of the relevant territory, the anthology provides a practical and philosophical contribution to the current debate surrounding practice-led artistic research.